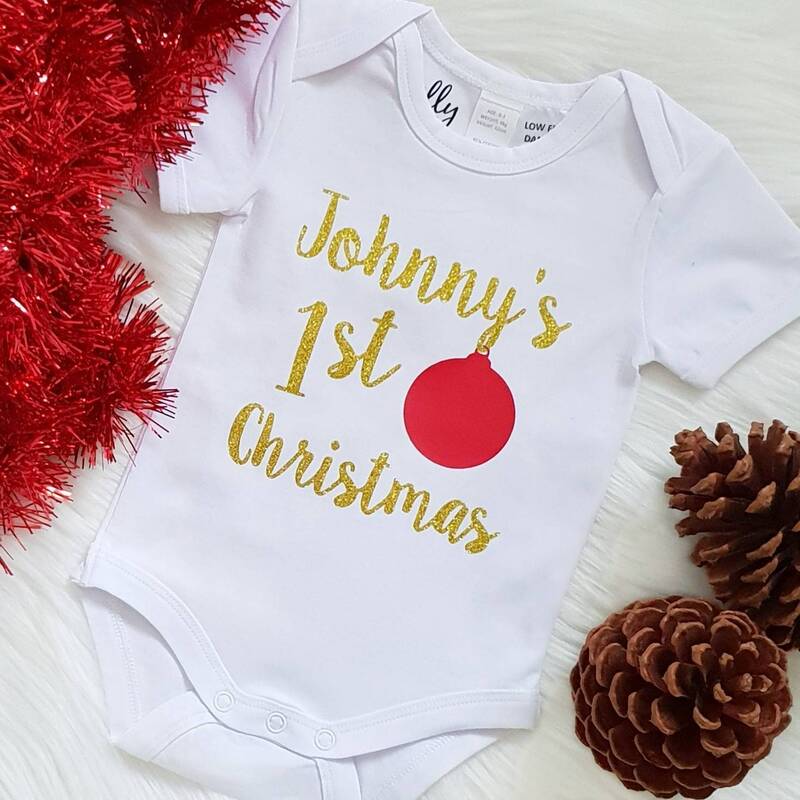 What a sweet first Christmas outfit, personalised with your little ones name and adorned with baubles. Shipped on time, great communication and it’s as exactly as described. Thank you! The quality and design of this personalised body suit is superb. Originally the text was meant to be gold glitter but fortune smiled on mirror gold instead. I think it was a marvellous choice and it looks so good. I can’t fault the customer service. I would like to buy more in the future. Lovely personalised onsie. Arrived quickly and beautifully packaged. Thank you!